It made many trips down I-40 from Tahlequah to Pampa. It rode in the passenger seat of a red dodge pickup and when that vehicle wore out, a yellow Chevy pickup. When he died, it rode in the back of my vehicle one last time along with the potted plants sent with condolences and a couple of cardboard boxes of belongings. When we arrived home, it sat in the floor of the spare bedroom right behind the door. I couldn’t bring myself to throw it away. I went about my day-to-day life and when I found time, I sorted through the cardboard boxes that had made the trip, discarding unnecessary things. But still, it remained. When the spare bedroom began changing into a nursery, it sat on the floor watching while paint went on the walls, and office furniture was replaced with a crib. Like a child’s teddy bear with the eye missing and the stuffing coming out, it remained as a reminder. It wasn’t valuable. It wasn’t decorative. It wasn’t useful to anyone. But it was such a part of him that I kept it around. It’s funny how when someone dies, their everyday things become such strong reminders of them. For my grandmother, it was a silver fingernail file that sat beside her chair. She probably used it every day. 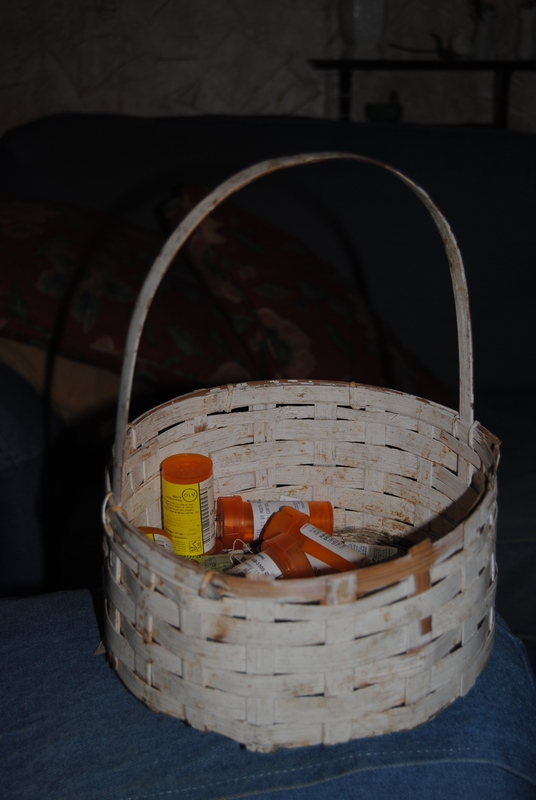 For my dad, it was a grimy, white Easter basket he used to carry his medication. An Easter basket. While other men have a satchel or a tote, or even a gallon size Ziploc bag, my dad used an Easter basket. “Take one daily with a meal.” “For management of high cholesterol, take one each day.” “Take each morning and evening.” The instructions on each bottle kept him going for several years. High blood pressure, cholesterol, blood thinners, aspirin. My dad no longer needed his pills. It was just a sad reminder to me of the temporary body that burdened him. On Monday January 2, I carried the basket to the dumpster and set it in. Don’t think I didn’t consider taking it out and bringing it back in the house throughout the day. I was home on Tuesday, the 3rd, when the loud roar of the trash truck pulled up. I heard the lifting of the dumpster, the bang of the lids as it flipped over. I imagined the dirty Easter basket and the bottles of pills scattering as they fell. 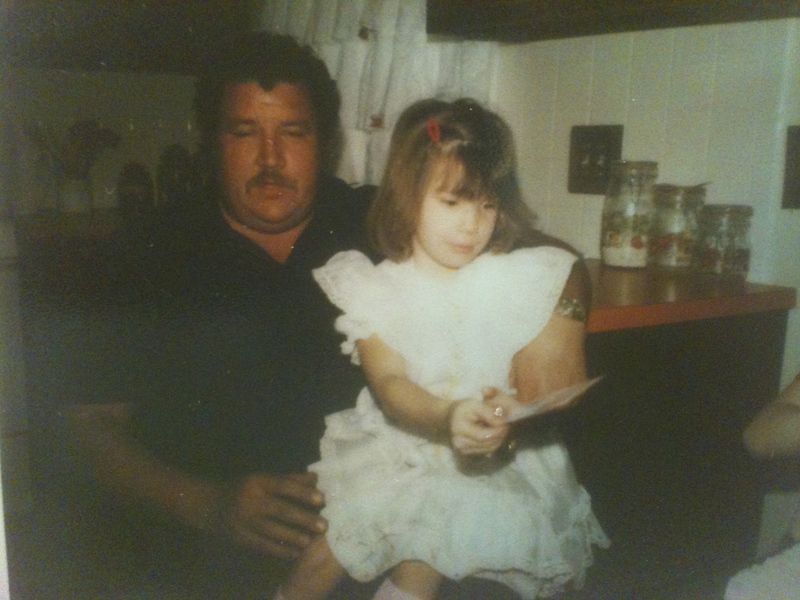 I sat on the couch as the truck roared away, thinking of my dad and his new body. No longer sick. No longer burdened. Today, he would’ve been 69 years old. 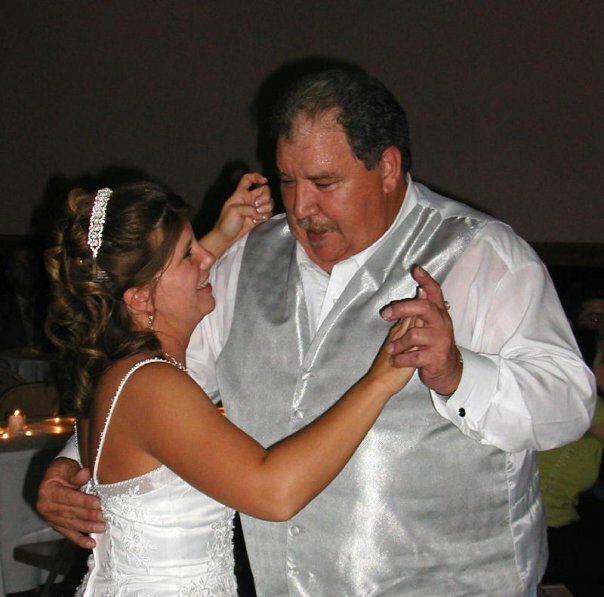 He left this world February 26, 2011. I first saw him as I was putting my portable air tankup up for the summer. At first I thought he was a snake, “Omigosh! Mister no shoulders,” I thought. Then I saw it was a harmless brown lizard. Since that time, we have become friends of a sort. Well, good enough friends that we don’t infringe on each other’s territory while drinking our morning coffee. Lucky is a sleek, fat, brown lizard who enjoys taking in the morning sun on my front porch. As far as I can tell a lizard’s age, I guess Lucky has been living here at Stonebroke Acres several years. I prefer to think of him as an old tenant and us, old friends. Lucky is afraid of people. He lives under my front porch and comes out only to sun himself each morning, during the early hours. He lies there with his eyes closed until some sudden movement will send him scurrying back into the dark recesses from which he came. He lies there on the porch awaiting the arrival of the many insects that come around my digs. He flicks out his rapier-like tongue almost too quick for the eye to see and he makes a quick breakfast of some unlucky gnat or fly that comes into his territory. His reactions are instantaneous with insects and when I come too close he scurries away in a quick, brown flash. I like to think of Lucky as a bachelor or at least, a loner of some sorts. I’ve never seen him in the company of any female lizards. His chief pleasure seems to be laying there in the sun and dining on errant insect tidbits. It’s impossible to tell if Lucky is happy or sad with the living conditions offered here. He has what some of my friends might call a poker face. His beady eyes betray no emotion. He just sits quietly with no expression. He would make a heck of a poker player. Yep, the same thing happened to me. I was enjoying that story too, typing away from an old newspaper from 1996, wrapping up the last paragraph of my dad’s story and that’s where it quit me. Right in mid-sentence. Right where I’m dying to know the rest. The story has no ending. So I considered my options: abandon this story and never let others know what a great writer my dad was by the sheer fact that he can create a personality and 500 words for an average brown lizard. I decided against that. I looked through the rest of the paper for a continuation. Fail. I looked through the box of newspapers for the scrap piece from August 10, 1996 that might have the last couple of sentences. Fail. I thought I might just leave it “as is” and explain the problem to you my faithful readers. 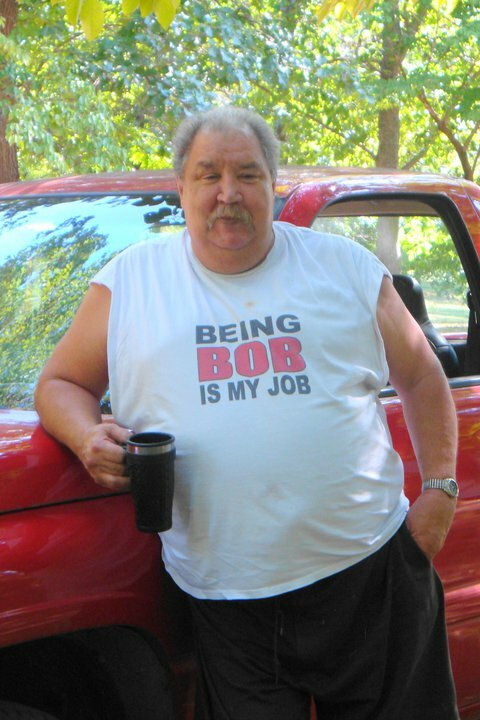 I considered making something up myself and pretending my dad wrote it, in turn deceiving you, my faithful readers, or I could ask my faithful readers to finish the story for me and my dad. I have settled on the last option. So, show me your writing skills….how would you finish this line? And the best part, he never asks me where I’ve been when the…………………………. “What’s old Duane doing now?” I asked. I sat back and relaxed while he got his thoughts in order. This man was an excellent story-teller, so I hit on the extended bottle of Jack Daniels and prepared to listen to a a good story. “It was about 25 years ago, give or take a year or two, me and Duane were running wild there in West Texas. We were runnin’ the bars, playin’ guitar for beer and whatever the kitty would bring in. When all of a sudden one day, Duane said he had us a gig over in Borger. I was young and dumb in those days, so I jumped right in there on a deal like that. So I agreed to a midnight run on the Depot Service Station, they had the local U-Haul concession, and we’d just pick us up our U-haul and be on our merry way. We picked the trailer up around two or three in the morning and we took the thing over to Lefty’s Garage and painted the trailer. We only had two colors of paint, a sort of institutional green and a day-glo orange. Duane had a few purple stickers, so we put them on there for a touch. We painted stars and bars, and a big ol’ half-moon, then we got ready for the gig that night by drinkin’ a half-gallon of Black label and eatin’ fistfuls of pills. ‘We’re doing it just like Hank Sr. done it,’ Duane kept saying. We partied from the Pair ‘O’ Dice lounge on out to Rocky’s and back–then we was eating more pills and drinking more whiskey. Duane was in a jovial mood and I wasn’t feelin’ no pain as we loaded the guitars and amps. The only thing we were worried about was some oily holding knuckle drill on us that night. So with the evening star twinkling in the western sky, and the little metro tying every bundle, me and ol’ Duane set out to make our name in the country music business. We were laughin’ and drinkin’ and just having a big ol’ time when up ahead you could see these flashing blue lights. ‘Insurance check’ Duane says ‘let me do the talking’ and I readily agreed as we pulled up to a stop opposite the state troopers. It didn’t impresss the highway cop one bit. One trooper walked to the back and pretty soon he came back and whispered something to the cop that was talking to us. They arrested us and took us to the Gray County Jail where we pled the grand larceny charge down until we didn’t have to serve but ninety days.” Old Rufus was the high sheriff then so he’d let us wash the county cars and keep the courthouse grounds lookin’ neat. So the ninety days passed pretty fast. Saturday nights he’d let us take the guitars out of the evidence room and pick for the prisoners and we kept in practice that way too. “But I’ll tell you this, Shoe”, he said standing up and dusting off his pants before heading back to where his dogs and parrots slept in the shadows.